In Italian with English subtitles. Widescreen. Directed by Mario Camerini. 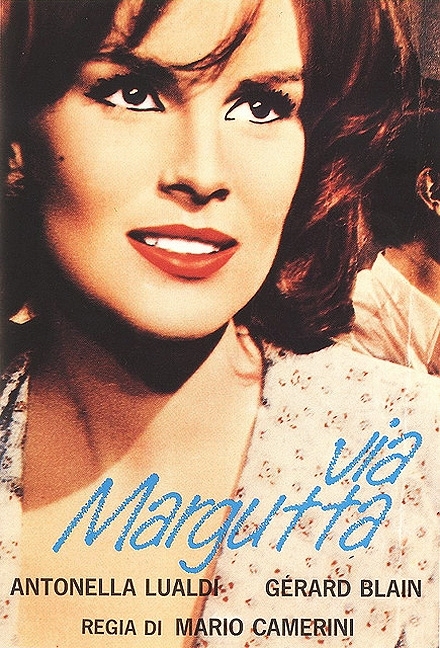 The focal point of this drama by director Mario Camerini is life in the Via Margutta, an artists' sector in Rome, the Italian equivalent of Montmartre in Paris. Stefano (Gerard Blain) is a talented painter, devoted to his art but not necessarily that adroit or interested in promoting himself. In contrast to Stefano, there are other artists more adept at selling their persona as an artist than creating art. Along with this mixed group of painters is a gay gallery owner who helps out some of the artists as best he can. Other characters that wander through the district range from a good-hearted woman to a self-serving parasite. These people interact in various ways, as Stefano eventually achieves his just recognition.